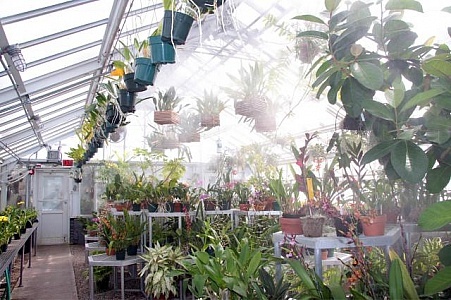 Sun shine from behind the orchid greenhouse in winter at Duke Farms New Jersey. 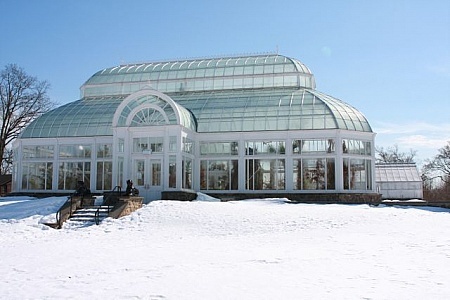 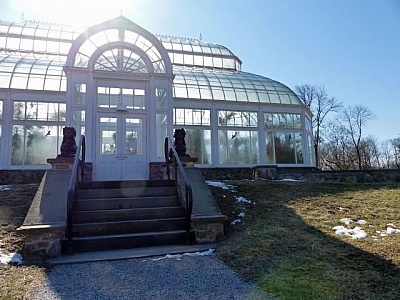 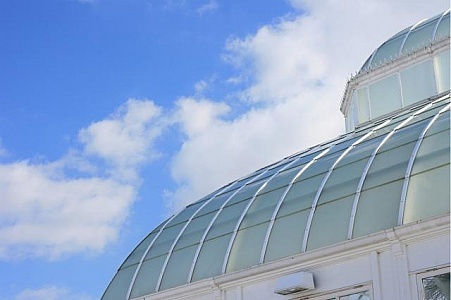 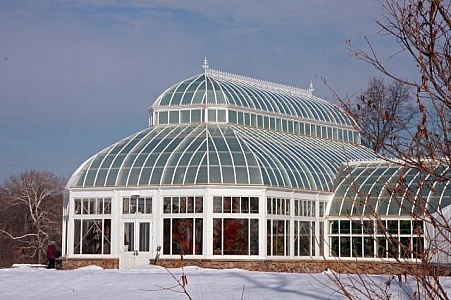 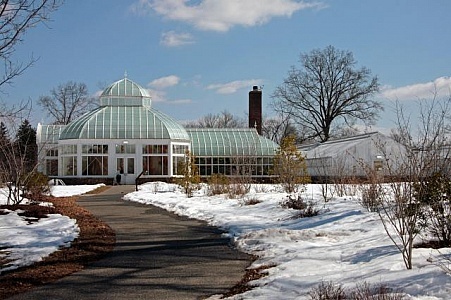 Orchid Greenhouse in winter at Duke Farms. 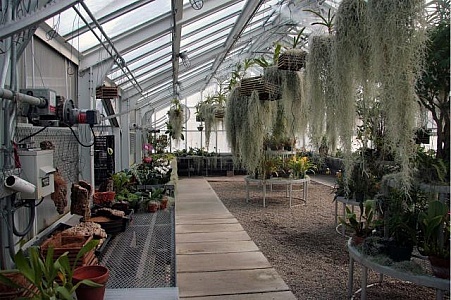 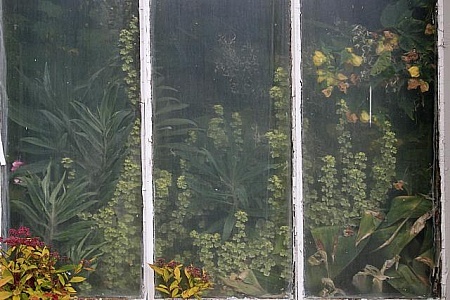 Inside a glass orchid greenhouse at Duke Farms, NJ. 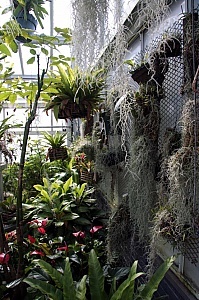 Orchid Greenhouse at Duke Farms.